This post by Calculated Risk on the CARS 'cash-for-clunkers' program has a neat sortable table that shows the amount of rebate money given to residents of each state. If you sort the table by 'dollars per person', you can see that New Hampshire had the highest per capita rebate rate and Vermont had the second highest. I was thinking it's just because we're frugal yankees and can't turn down free money, but several commenters on the CR post pointed out that the top 5 states are either heavy snow states where lots of road salt is used or an Island where salt air is present. Coincidence or causal? Ever dreamed of living off the grid, perhaps on a remote Island? If you've been out to Star Island, one of the Isles of Shoals, you know that it's one of New Hampshire's gems. Earlier this summer, my wife and I had the pleasure of returning to Star Island for a brief visit. Despite the Island's natural setting and the calming ocean breezes, the nerd in me couldn't help but contemplate the infrastructure required to keep this remote Island humming. Star Island is home to an educational conference center that's run by the non-profit Star Island Corporation. Each summer, hundreds of conference attendees and vacationing day-trippers pour in, ready for a dose of Island living. The Island's nineteenth century Oceanic Hotel is quite rustic by modern standards, so much so that conference brochures describe the accommodations as "comfortable, but not modern." Still, the basics are well covered including electricity, indoor plumbing, and a fully equipped dining hall and snack bar. Even providing just the basics can be a challenge, when you're seven miles away from the mainland. Water for the Islanders is supplied using a three-tiered approach including untreated seawater for outside washing and running the sewage treatment plant, rain water cisterns for showers and laundry, and a reverse-osmosis desalinization plant for potable water. All of the Island's wastewater is treated by an EPA approved wastewater treatment system. In addition to the water and sewer systems, the conference center provides meals for hundreds of guests which requires significant refrigeration and food preparation equipment. All of these things require electricity, lots of electricity. In fact, according to Star Island Corporation's Island Engineer, Tietjen Hynes, during the peak season the Island uses about 1,500 kWh of electricity each day. Most of this electricity is produced by a pair of 125 kW generators that are powered by diesel engines. One generator is powered by a John Deere 4045 engine and the other by a CAT 3304b engine. To get an idea of the scale of these power plants, consider that they are about 25 times the size of a typical 5 kW emergency backup generator. In fact, the John Deere 4045 diesel has 4.5 liters of displacement and provides over 160 horsepower. Below is a sample photo of a generator that uses this engine. So how much does it cost to produce electricity on Star Island? Island Engineer Hynes says that the generators consume around 100 gallons of fuel to produce the 1,500 kWh of electricity that's needed each day. The fuel must be brought in by boat, so Ill assume a $3.50-$4.00 per gallon delivered fuel price. That yields an "energy cost" of around 25 to 30 cents per kWh. That rate doesn't include capital costs or operating and maintenance costs which, given the short season and tough operating conditions, could easily add another 5-10 cents to that kWh rate. Even at this reasonably large scale, it's tough to even come close to power company costs with do-it-yourself electricity generation. Given the remote location and the high cost of generating electricity with diesel, the Island seems like a great candidate for renewable energy sources like wind and solar. In fact, the non-profit that owns the Island has made a commitment to sustainability and has sought out ways to improve efficiency and reduce the environmental impact of their electricity production. A few years ago, the Elliott Memorial Building was equipped with photovoltaic panels to provide power for the Island's winter caretakers. You can see the five 125 watt photovoltaic panels in the photo above. These are attached to a bank of eight 110 Ah deep cycle marine batteries and an inverter that converts the battery output to alternating current. The system provides the winter caretakers with the convenience of 24x7 ac power, without having to run a generator non-stop. According to Island Engineer Hynes, by using the solar panels and the batteries, the winter keepers are able to reduce generator run-time to just a couple of hours each day. It looks like the winter keepers have a more sophisticated version of the rudimentary blackout system I described in this earlier post. 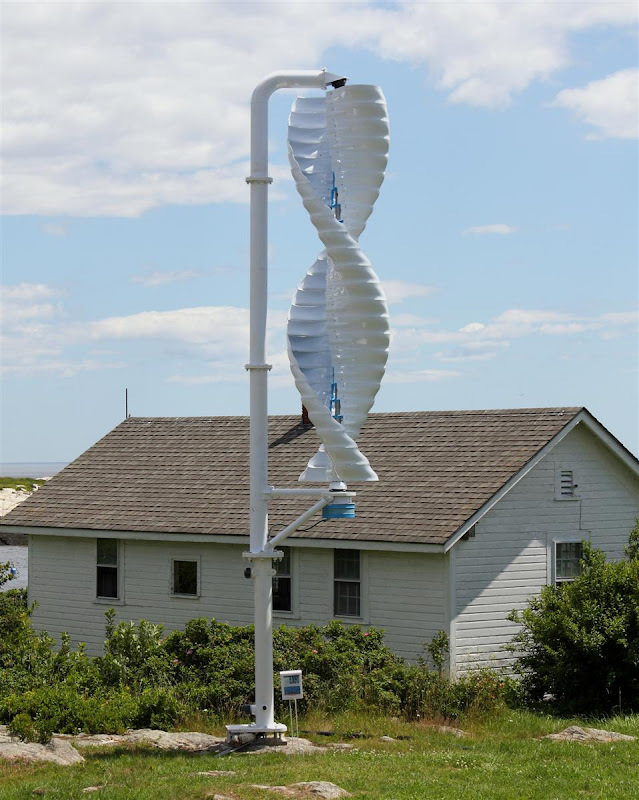 In addition to the solar panels on the Elliott Memorial Building, the Island also has a new 5 kW Helix Wind S594 vertical wind turbine that was installed by Waterline Industries of Seabrook, NH. 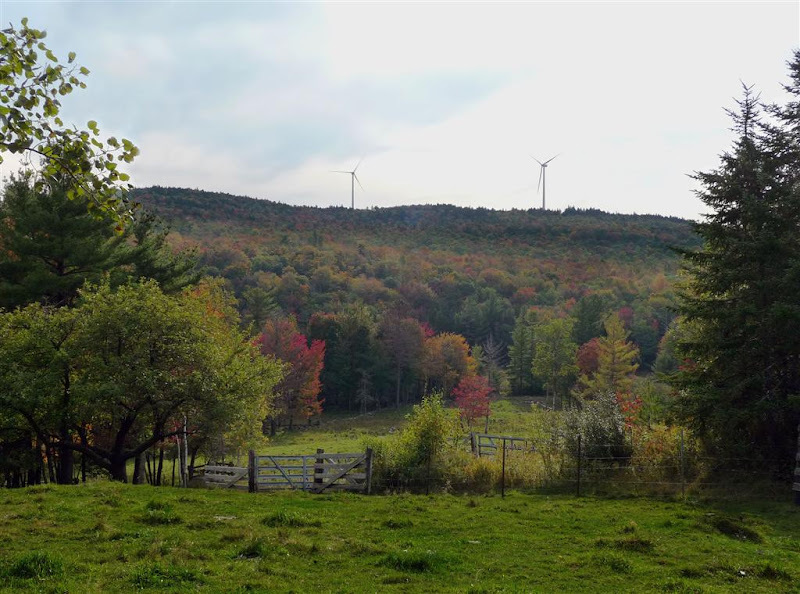 The turbine was just recently installed and the project has hit a small snag that shows just how tricky alternative energy systems can be when you're "off the grid." Island Engineer Hynes explained that the Helix turbine is intended to be used in grid-tied systems and must be fed relatively steady 60 Hz ac line power in order to produce electricity. 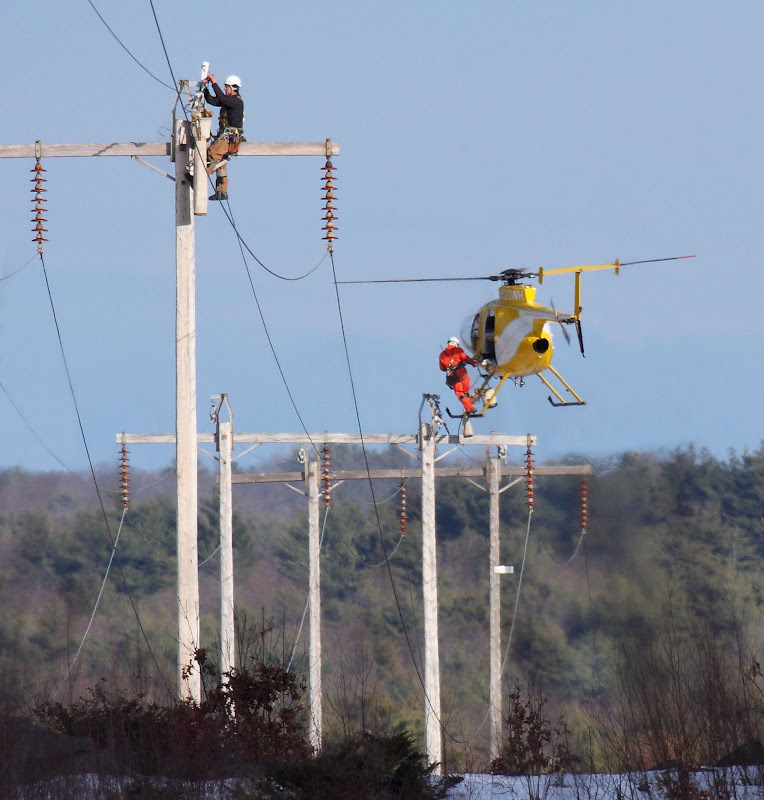 This is a failsafe to protect utility workers from unexpected back-feeds on the power grid. Unfortunately, the Island's diesel generated electricity varies between 57 Hz and 62 Hz and this variation prevents the Helix turbine from reliably generating power. One other challenge in using wind power for commercial off-grid applications is that there's no option for net-metering, where unused power can be sold back to the utility. In off-grid applications, the turbine's output must be consumed when it's produced or stored in expensive and sometimes impractical battery systems. Despite these issues, Ms. Hynes believes the new turbine will ultimately be used to provide electricity for the Island. She's working with Helix Wind and the distributor on a plan to connect the turbine to the existing solar battery bank and inverter to provide power to the Elliott Memorial Building and the Doctor's cottage. On nearby Appledore Island, the folks at the Shoals Marine Laboratory (SML) recently installed a Bergey 7.5kW wind turbine and 4.4 kW of photovoltaic panels to help reduce their generator fuel consumption. Although the prospects for the project are very promising, the project's cost was nothing to sneeze at, coming in at over $100k for just the wind turbine, tower, and related equipment. Despite the minor technical snags and the somewhat high capital costs, the folks at Star Island and at the Shoals Marine Lab are proving that using renewables to generate standalone Island power is becoming more feasible as the technology continues to improve and prices continue to drop. A while back I did a post on the economics of wind power that had some financial analysis on a few local wind power projects. One of the projects I featured was the Vinalhaven, ME, Fox Islands Wind project. You may recall that one of the major factors affecting the economics of wind power is the project's "cost of capital." 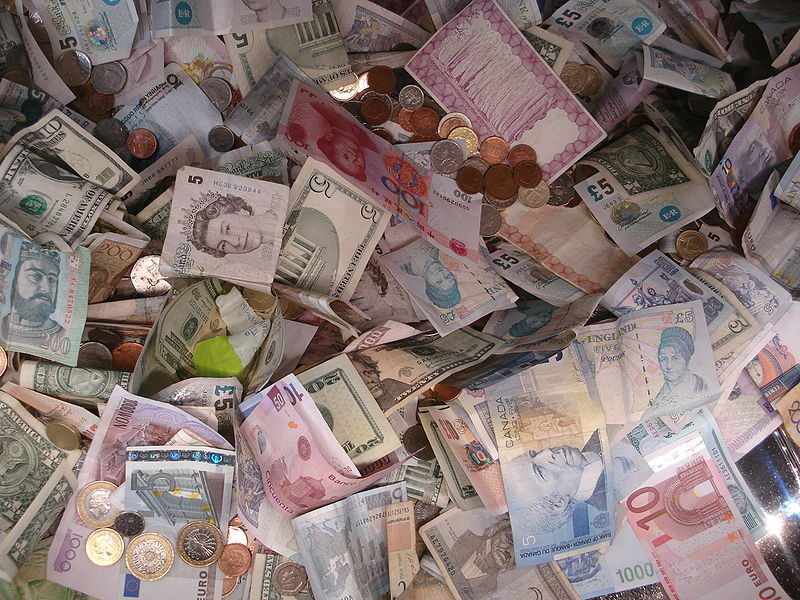 You can think of cost of capital in the same way you would the interest rate on a home loan. Just as a lower mortgage rate can dramatically reduce the cost of home ownership, a lower cost of capital can dramatically reduce the cost of a wind project over its lifetime. It turns out that the Fox Islands Wind project just got a huge reduction in its cost of capital in the form of a USDA loan guarantee. According to this USDA press release (hat tip SeacoastOnline), the Fox Islands Wind project has been awarded a $9.5 million loan guarantee through the USDA rural electrification loan program. Currently, rates for loans under this program are in the 2-4% range, depending on the term. I don't have the exact details for the Fox Islands Wind loan, but I made a best-guess and re-ran the cost per kilowatt numbers through the WindFinance tool to see how this low interest loan might help the project's economics. The table below shows the values I used as inputs in my earlier wind power cost analysis. These inputs were copied directly from this previous post. Installed cost per kW and annual production in MWh are computed from the other inputs. Below, I've updated the results from the prior post with the new low-interest loan taken into account. In the last row of the table below, you can see the impact of the new loan on the project's cost per kilowatt. The project's cost per kilowatt hour ranges from 16.81 cents with a 13% cost of capital, to 10.79 cents with an 8% cost of capital, to 7.66 cents with a blended 8%/4% cost of capital (the government 4% loan covers $9.5M of the project's cost). You can see from these updated results how low-cost financing can completely change the economics of a project. Although I don't know the details of this specific loan guarantee program, presumably the loan must be paid back with interest over time, and it shouldn't cost taxpayers anything if all goes well. The downside is that if for some reason the project goes bust and Fox Islands Wind defaults on the loan, taxpayers will end up footing the bill. My regular Internet reading list includes a handful of overseas publications, such as the Financial Times and The Economist. When I load these sites in my web browser, or watch the occasional web video, there's seldom any noticeable delay, even though the data had to travel halfway across the world. High speed transglobal communication is so ubiquitous that we barely pay notice to the amazing technology it takes to get the job done. It turns out, there's a manufacturing facility along the banks of the Piscataqua River in Newington, NH that played a major role in stitching together our global communications infrastructure. That facility is the Tyco Telecommunications undersea cable plant. Tyco's Newington facility manufactures the so-called wet-plant components of undersea telecommunications cable systems. This includes undersea cable and devices called repeaters that help keep the communication signals strong enough to reach their final destination. The Newington plant has over 550,000 sq ft of manufacturing space and employs between 100-200 workers. The facility also includes a deep water pier that allows direct ship loading of the cable that they make at the plant. Tyco's corporate website boasts that the company has installed over 420,000 kilometers of undersea cable worldwide. That's enough cable to wrap the globe ten times. In addition, the company recently completed testing of a new cable system capable of transmitting data at 40 gigabits per second. Just to put that into perspective, a 40 gigabit per second communications link could carry over half a million telephone calls, over 50,000 simultaneous music streams, or over 5,000 HD video streams. Unfortunately, despite these amazing technological achievements, the story of undersea cable manufacturing in NH is not all good news. 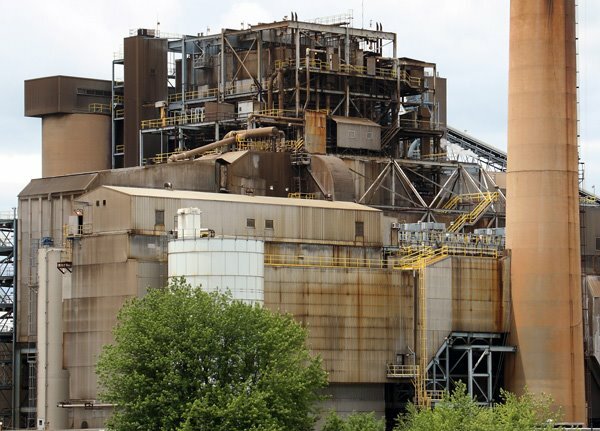 The crash of the tech bubble in the early 2000s, coupled with global telecommunications overcapacity that persists today, has resulted in several tough years for the folks at Tyco's Newington plant. Tyco's footprint in NH, which at one time included over 1,500 workers at facilities in both Exeter and Newington, has shrunk to just 200 or so workers in Newington alone. Cindy Kibbe over at the New Hampshire Business Review has an update on the mortgage delinquency rate in NH. Ms. Kibbe's report goes on to note that while the delinquency rate in NH is up, our 3.76% rate is much lower than the 5.81% national rate. In fact, NH is ranked 37th in the country, meaning that only 13 states have lower delinquency rates. Nevada and Florida have the highest delinquency rates in the country at 13.8% and 12.3% respectively. In New England, only Vermont has a lower delinquency rate than New Hampshire. A recent Wall Street Journal report (subscription only) on mortgage regulations in Vermont may help explain why Vermont has such a low delinquency rate, hovering around 2.51%. The tenor of the article is that Vermont has overregulated the mortgage market preventing…wait for it…the unforgivable error of restricting loans to those who can prove an ability to repay. Worse yet, consumers receive explicit notice of high rates and brokers are held accountable. The insanity. The horror. Encourage personal responsibility? Hold people accountable for their behavior? Unthinkable. At first glance, it might seem like the "Cash for Clunkers" auto rebate program is a targeted effort to help the Big Three automakers and provide some relief to Detroit's economy. Many in NH may think that the program will only benefit auto manufacturers in far away states, and doesn't have much to do with NH's economy. I sure did at first, but after some digging, I learned that's not the whole story. The Car Allowance Rebate System (CARS), colloquially known as "Cash for Clunkers," is a U.S. federal scrappage program intended to provide economic incentives to U.S. residents to purchase a new, more fuel efficient vehicle when trading in a less fuel efficient vehicle. The program was designed to provide stimulus to the economy by boosting auto sales, while putting safer, cleaner and more fuel-efficient vehicles on the roadways. Although the program officially started on July 1, 2009, the processing of claims did not begin until July 24. The $3 billion program, which represents around 0.3% of total stimulus spending, has been criticized for being wasteful and for falling short of its goals. Econobrowser blogger and UC San Diego Professor James Hamilton recently compared the program with a New Deal era initiative to slaughter livestock. Meanwhile, Science Daily reported on a UC Davis study that estimates the cost of reducing carbon emissions under the program at $237 per ton. Carbon emissions in europe are currently $20 per ton and in the US they're expected to cost around $28 under the proposed cap-and-trade legislation. Controversy aside, I wanted to learn more about automobile sector employment, especially in NH. I found a good high level summary at the US Bureau of Labor Statistics. The table below gives a good overview of automobile industry employment in the US. Aside from the recent steep drop in employment overall, the first thing that caught my eye was that parts manufacturing employs more than twice as many workers as pure auto manufacturing. The next surprise was that parts manufacturers, parts retailers and wholesalers, and auto dealers together employ over 10 workers for every one motor vehicle manufacturing worker. Another surprise (for me anyway) came from this research report by an industry group called The Center for Automotive Research (CAR). The introduction says that in 2007 there were around 239,000 auto workers employed by the Detroit Three, while there were 113,000 workers employed in the US by foreign auto makers. I didn't realize that there were that many "foreign" auto manufacturing jobs in the US. For me, this all says that while Detroit's economy may be all about the auto industry, the auto industry is definitely not just a story about Detroit. I wondered what that might mean in terms of New Hampshire's auto related employment as compared to auto employment in the nation as a whole. Michael Cousineau at the Union Leader did a great report back in June about auto industry related employment in NH. (Automotive Industry Ripple Effect in New Hampshire - via the Urethane Blog since UL archives old articles). In this report, Mr. Cousineau details auto industry employment in NH and profiles a couple of auto parts manufacturers, including Park Nameplate in Dover (pictured above). Mr. Cousineau's article says that in NH there are over 900 companies providing around 17,000 auto related jobs. That compares with around 21,000 construction jobs and around 61,000 jobs in the hospitality sector in NH (source: NHES August 2009 report). The math may seem confusing, but as long as I did it right, it does answer my original question. It turns out we have more than our share of auto jobs here in NH. So in the end, whatever the costs and benefits of the Cash for Clunkers program, it seems reasonable to expect that NH will get at least its share of the economic stimulus generated by this program. This post is a bit off my usual NH beat, but I found it an interesting and timely subject, especially for anyone planning for retirement or managing their own investments in these tumultuous times. Mr. Bogle's groundbreaking practical work at Vanguard was nicely buttressed by some academic work by Professor Eugene Fama called The Efficient Market Hypothesis (EMH). In short, the EMH says that it's nearly impossible for the average investor to reliably beat the market and that for most people, the best approach is to build a well diversified, low-cost index fund portfolio. I regularly follow Felix Salmon's Reuters blog about all things finance and today he published a post about the EMH. As often happens in the blogosphere, the post isn't nearly as interesting as one of the comments, which linked to a video where Professor Fama, discusses the state of his theory as of today (well, actually yesterday). 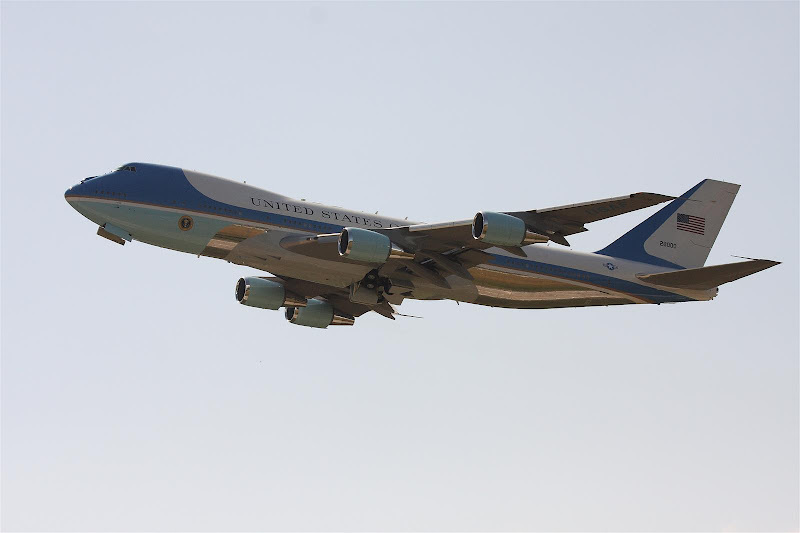 I happened to be in Portsmouth today and although I didn't get anywhere near the High School and President Obama's health care town hall meeting, I was able to snap a few shots of Air Force One taking off from Pease International Tradeport in Portsmouth. The President's motorcade arrives at the Pease tarmac. Notice the ambulance toward the end of the motorcade. I guess this must be standard practice? 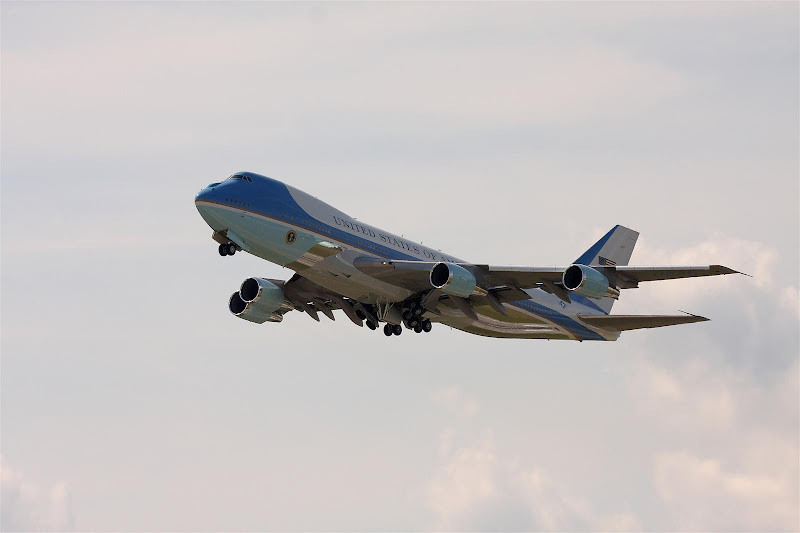 Air Force One begins its taxi toward the runway.